What does it take to be successful in your work or business? Some will say you must have the right knowledge and experience. Others would argue in favor of the importance of good education. Still, there will be quite a few who will insist that all of these mean nothing if you do not have the passion for your chosen vocation. But what if you find yourself in a plateau—neither moving forward or backward, your career or your company in a complete standstill? How do you move on? 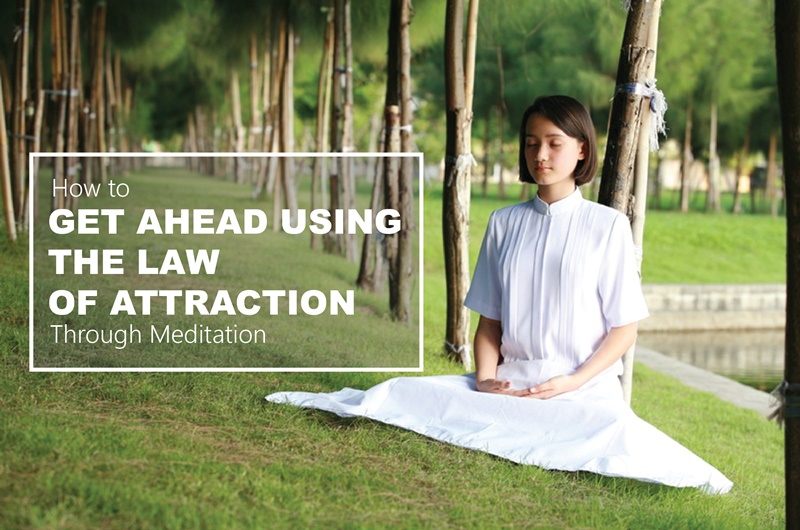 The answer might surprise you: the Law of Attraction through meditation. For one moment, remove your preconceived notions about the law of attraction and read on. In order to better understand how the Law of Attraction can get you out of the mire you are stuck in, it is crucial to understand confidence better. The simplest way to define confidence is to think of it as believing in yourself and what you are capable of. Often, in your work or your career, you find yourself stuck because you are held back by things that you believe would happen if you go down a particular course of action. The Law of Attraction, on the other hand, posits that whatever you believe, you will accomplish. In your career, that may mean that if you envision yourself becoming the top salesman for the next quarter, so shall it be. And conversely, if you let your negativity take hold of you, you are going to be held back. Becoming successful, then, starts by cultivating a positive mindset, sometimes in the face of adversity. When you build that resilience in you, even in the face of adversity, your mind starts to get the proverbial ball rolling by expecting positive results. How do you use the Law of Attraction in your career or business? Start by making an inventory of your strengths and weaknesses. Be honest about this. After that, highlight your strong points and use this to gain confidence. Next, try to create a vision of what success is like for you. Do not try to limit this image of success to what other people have. Take on different challenges and sooner or later, you will be able to define what success looks to you. Meditation also helps. You might also want to consider shifting careers if you find yourself unhappy with your current one. Simply put, you cannot be successful if you do not enjoy your work. It will only create a black hole that drains your positivity and confidence. Of course, that does not necessarily mean that you should immediately jump ship or close down your business. On the other end of the spectrum, you have to learn how to deal with difficult moments at work. Something will always go awry and things will not always go your way. Deal with this by keeping your emotions in check in order to avoid being stressed out. Consider veering away from your comfort zone. Sometimes, opportunities present themselves to you in a subtle manner. You have to be ready to recognize and take advantage of these—sometimes, even if it means veering away from the path you had initially set for yourself.